Breaking news today, president Mubarak of Egypt has had enough of the peaceful protests. he’s thrown in the towel. But he was rumored to deliver a message yesterday doing this very thing, but it was an apparent stall for time. Only time will really tell what’s happening with President Mubarak. 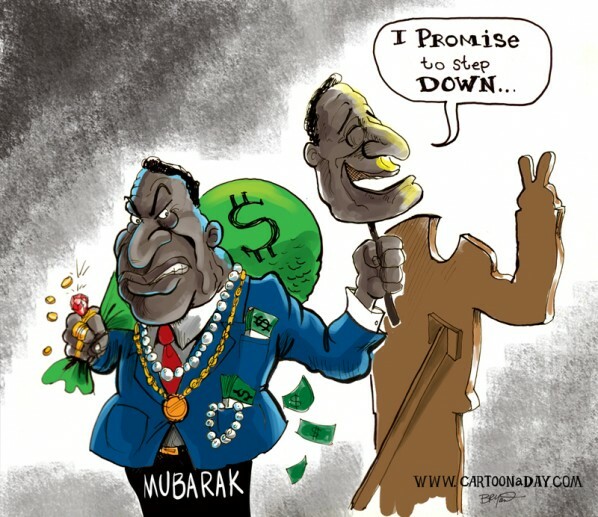 A cartoon of President Mubarak , behind the scenes of his dictatorship. We see behind the public mask he wears.